When fighting a Burbank DUI refusal allegation, there may be unique obstacles in mounting a legal defense. Under California law all drivers on the road are presumed to have granted implied consent to have their blood or breath tested for the presence of alcohol or drugs if lawfully arrested for DUI. Refusing to submit to chemical testing is prohibited by law and those who refuse testing can still be charged with driving under the influence pursuant to California Vehicle Code Section 23152(a) VC along with a California Vehicle Code Section 23612 VC refusal allegation that will lead to mandatory jail time and heightened penalties. The U.S. and California Constitutions require that any traffic stop or arrest must be supported by reasonable or probable cause. A law enforcement officer cannot simply stop any vehicle on a whim or idle suspicion. To justify a traffic stop, the officer must have reasonable or probable cause that the driver has violated the law. 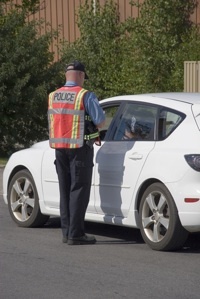 Usually a traffic stop will begin after the officer observes a traffic violation. The officer will pull the vehicle over and will subsequently engage the driver in conversation. During this time, the officer will be looking for any telltale signs of alcohol or drug intoxication. If the officer reasonably believes that the driver is under the influence, the driver will be asked to step outside of his or her vehicle and participate in a series of tests intended to measure a driver’s intoxication. These tests include field sobriety tests that measure balance, memory and coordination as well as a breath test on a portable testing device. The driver will be asked if he or she has had any alcohol to drink. If the stop or arrest was conducted without sufficient reasonable or probable cause, the defendant can file a motion under California Penal Code Section 1538.5 PC to suppress any evidence that was discovered as a result of the improper stop or arrest. In DUI cases, the charges will usually be dismissed if the defendant’s motion is granted. Before a driver can be penalized for the refusal allegation, he or she must first be convicted of the driving under the influence charge in violation of California Vehicle Code Section 23152(a) VC. If the prosecution is unable to prove the elements of driving under the influence beyond a reasonable doubt, the fact of the driver’s subsequent refusal would be irrelevant to the court case (though the driver could still face a yearlong administrative license suspension). A Burbank driver cannot be held responsible for refusing to submit to chemical testing if he or she was not given the proper testing admonishment that is required by law. This admonishment requires law enforcement to notify the arrested party that refusing testing would still result in criminal charges for DUI and that the refusal would also trigger a mandatory driver’s license suspension for a full year. If the defense can show that the officer’s admonishment was incorrect, vague or otherwise deficient, the refusal allegation may be thrown out entirely. In order to be held criminally liable for a DUI refusal, the act of refusal must have been knowing and willful. In many Burbank DUI cases, there are circumstances where the DUI defendant was incapacitated by a mental or physical condition that may have adversely affected his or her ability to hear or understand the chemical testing admonishment or to actively give consent to testing. This may be the case where the driver was just involved in a car accident and was injured or where the defendant has a mental or physical condition that prevents or hinders his or her ability to hear or follow directions. Any refusal that was based on a defendant’s permanent or temporary incapacitation would not be considered a willful refusal. Drivers should note that being too drunk to understand or reply is not a defense, unless the driver was involuntarily intoxicated. If you been charged with a Burbank DUI offense and there is an additional refusal allegation, it is important that you meet with a Burbank DUI Lawyer right away. Burbank DUI Attorney Michael Kraut is a former Deputy District Attorney with over 14 years of prosecutorial experience who understands how to effectively fight DUI refusal allegations. For more information about Burbank DUI refusal defense, and to schedule your free consultation, contact Burbank DUI Defense Attorney Michael Kraut at the Kraut Law Group located at 2600 West Olive Avenue, 5th Floor, Burbank, CA 91505. Mr. Kraut can be reached 24/7 at 818-563-9810.